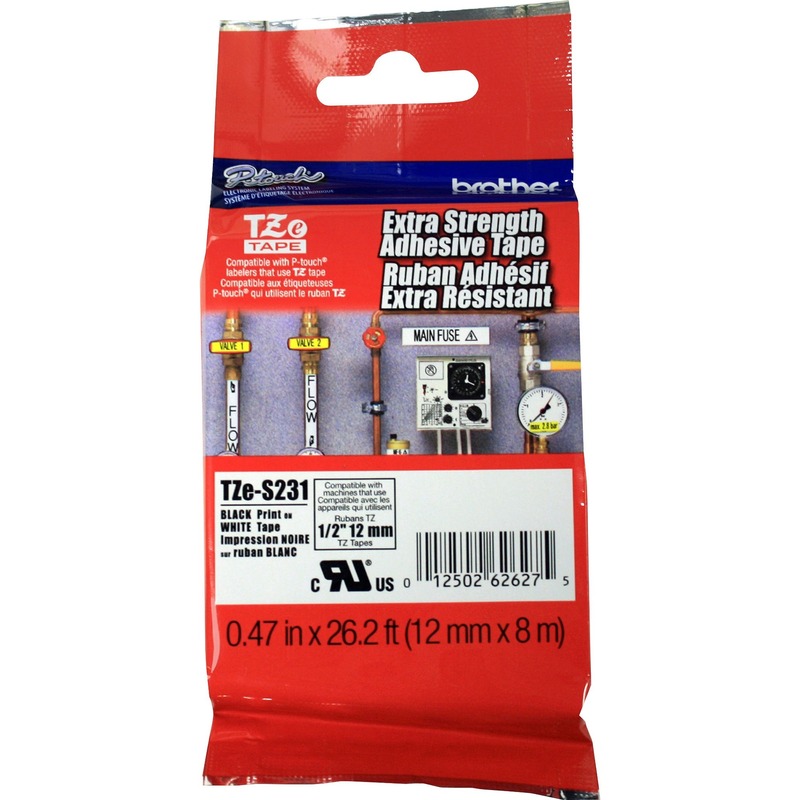 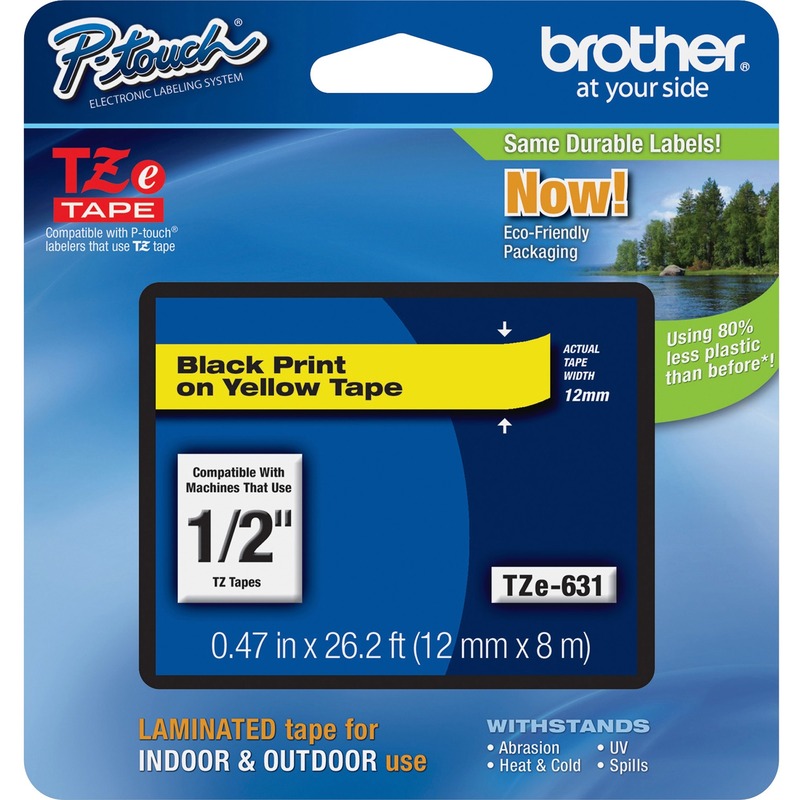 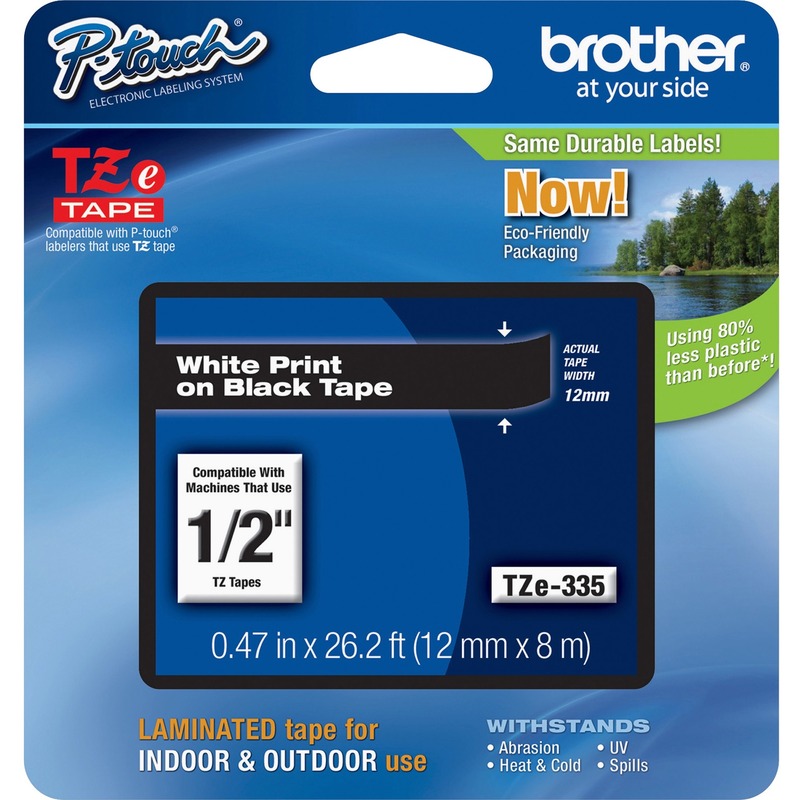 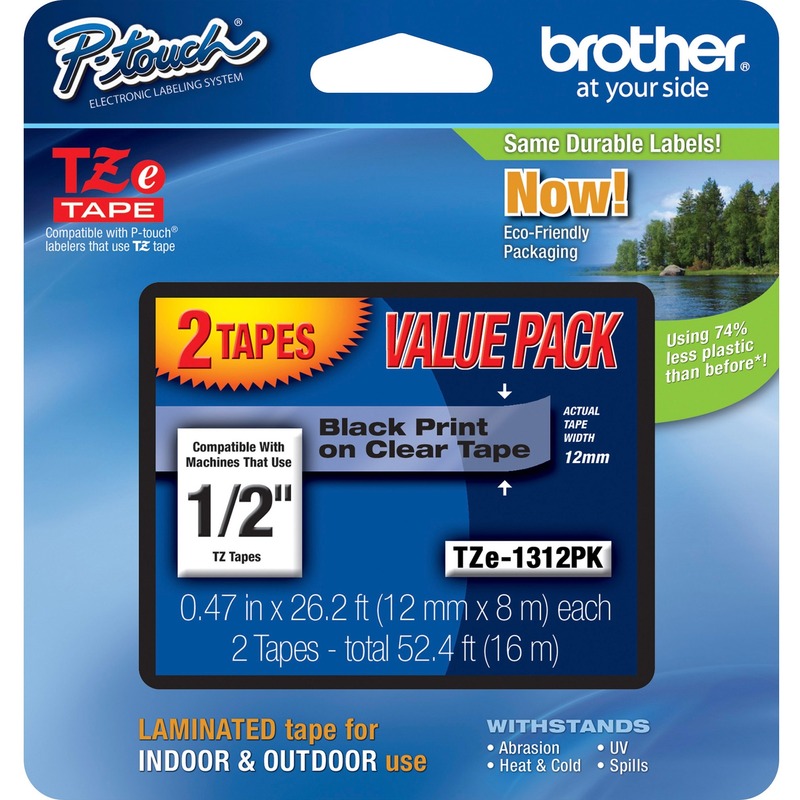 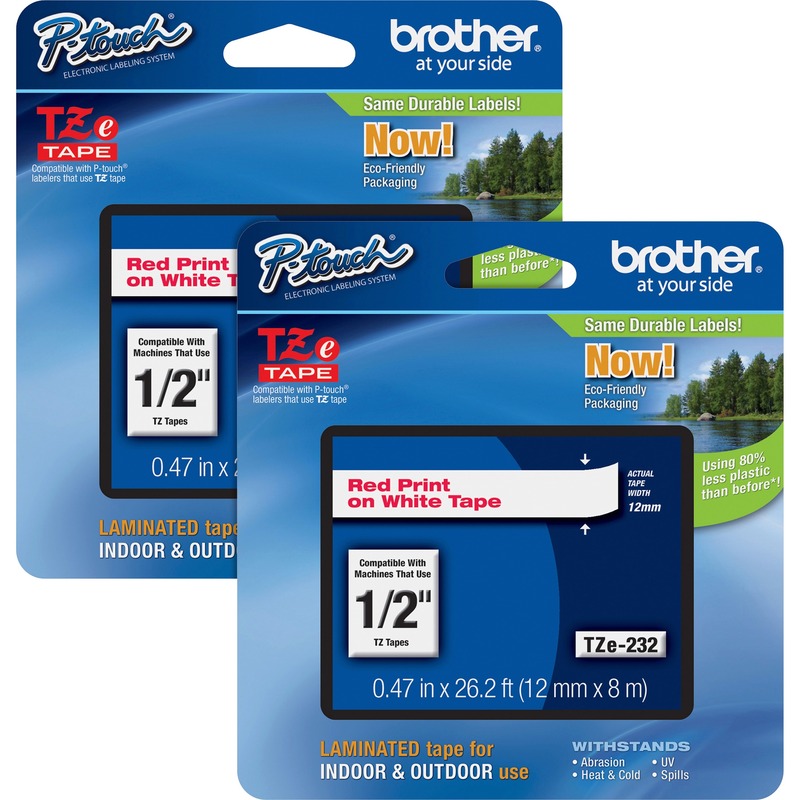 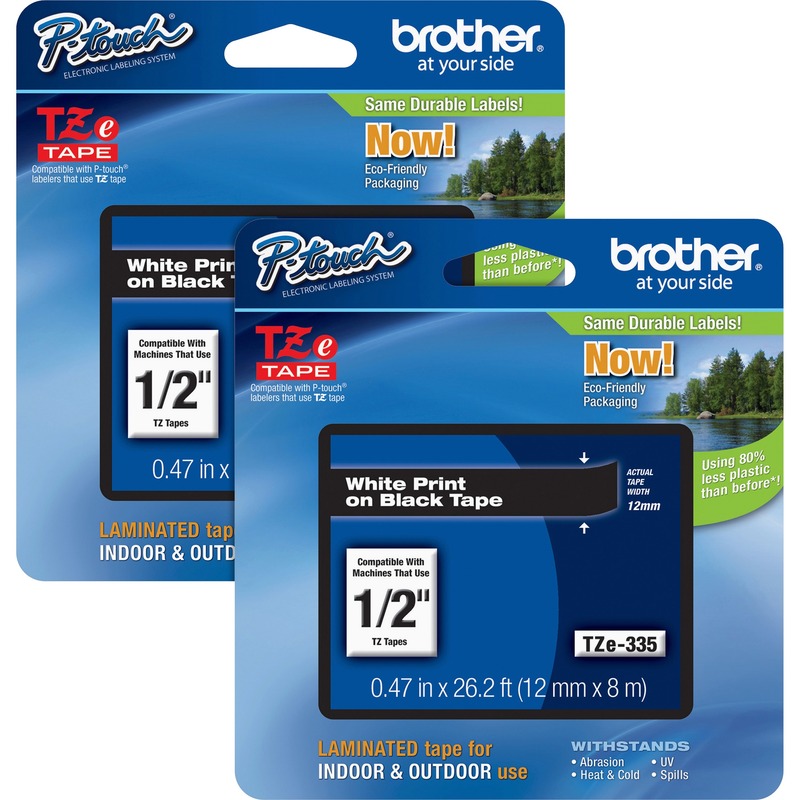 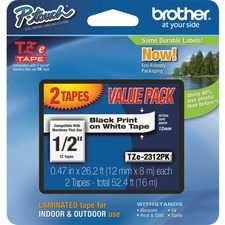 Stylish, laminated TZe Tape is compatible with Brother P-touch labelers that use TZ or TZe tape. 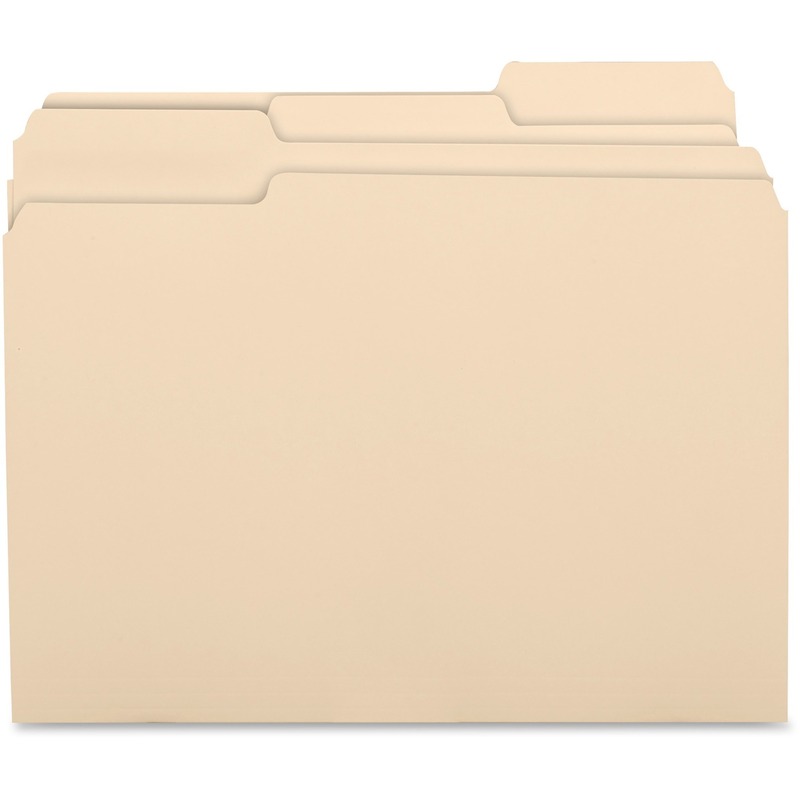 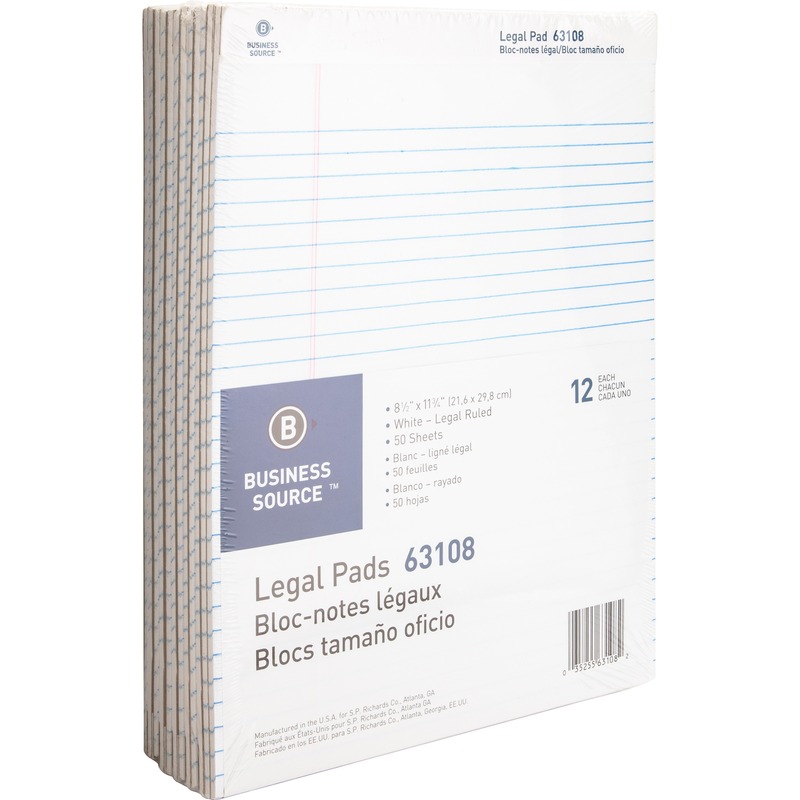 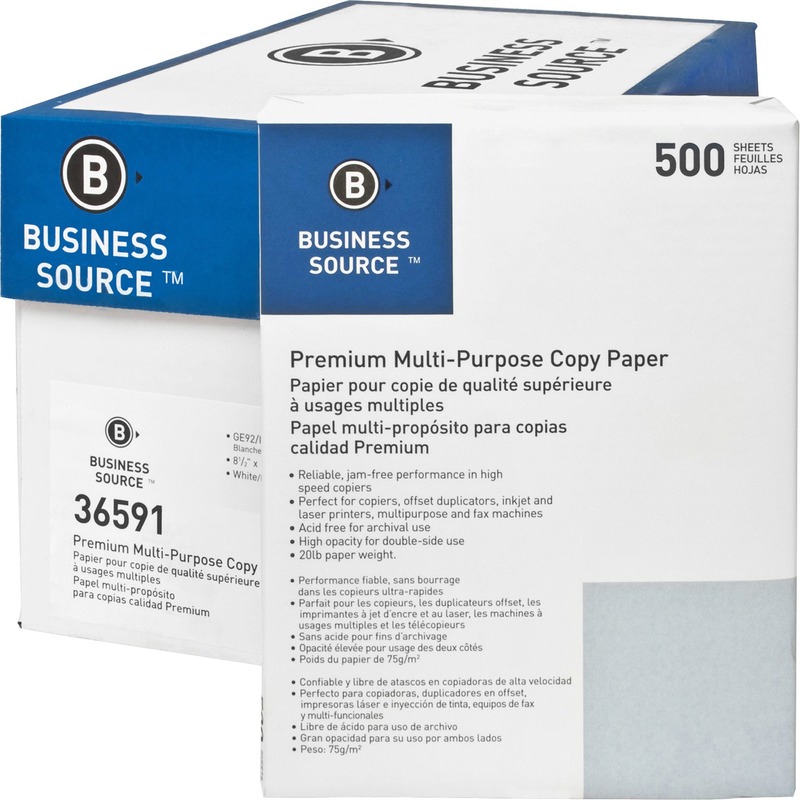 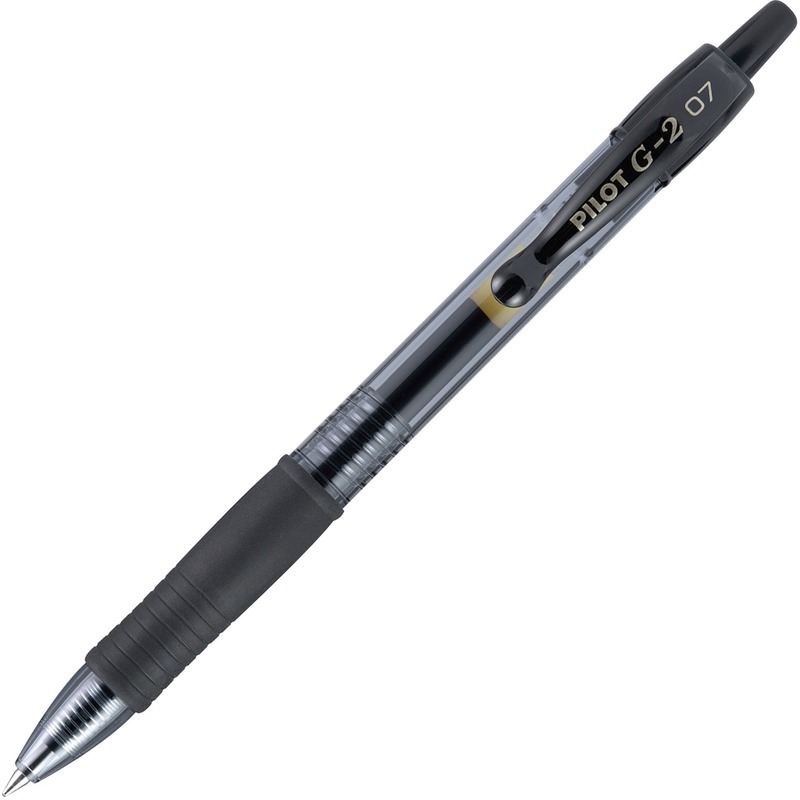 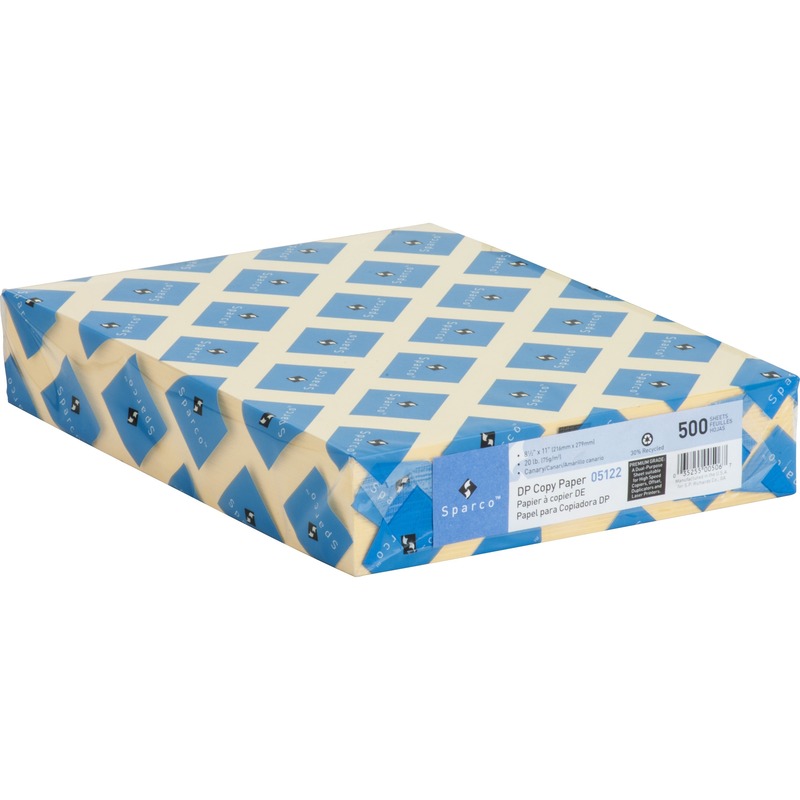 It features eco-friendly packaging that uses 80 percent less plastic. 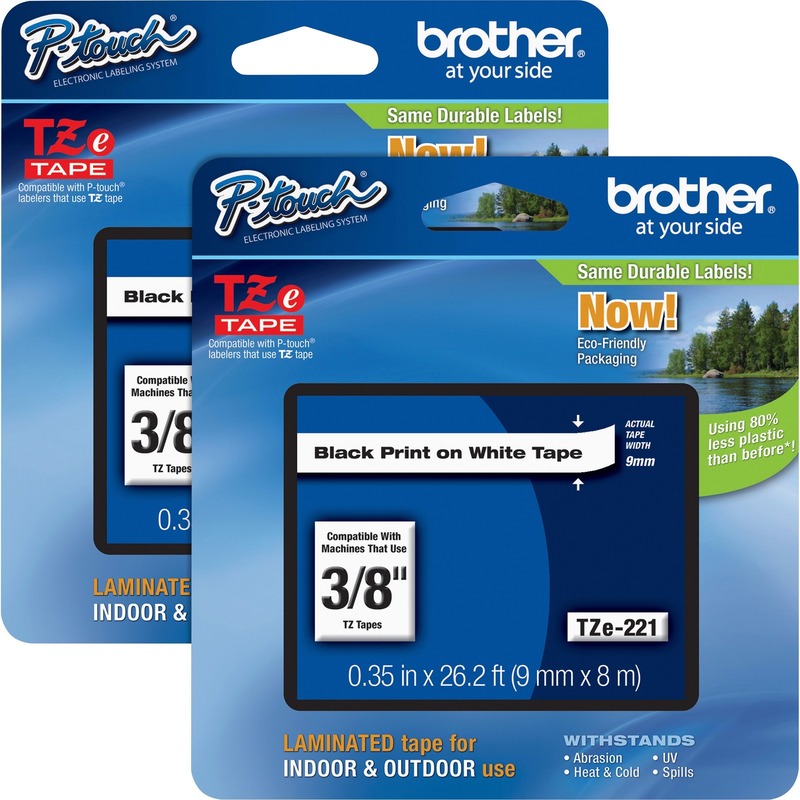 Perfect for everyday applications, these labels stay on under normal indoor and outdoor use, including hot and cold environments, and are best suited for smooth flat surfaces. 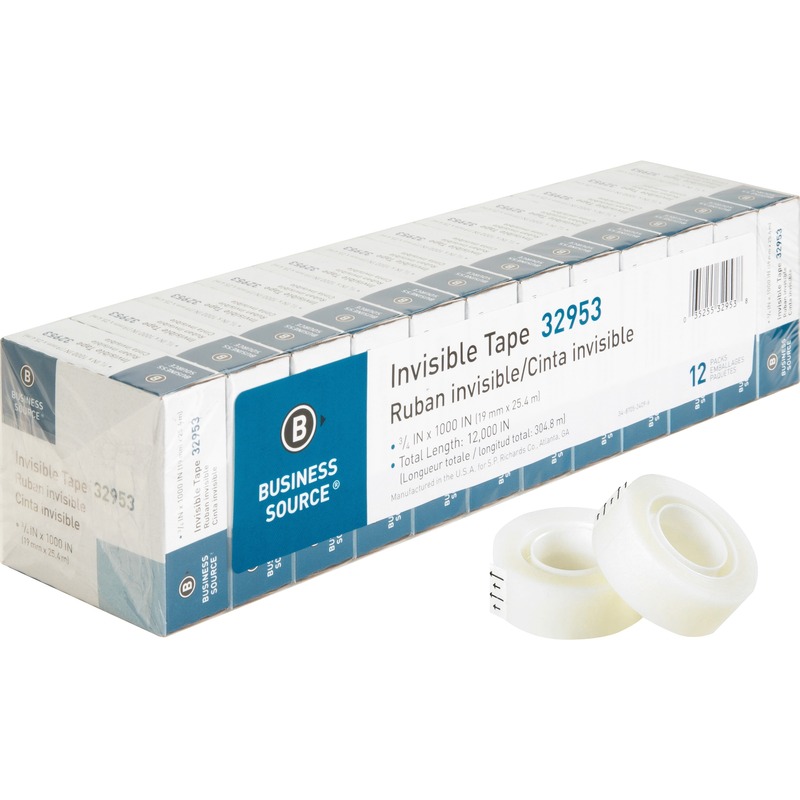 Tape is designed for use with PT-D200, PT-D210, PT-H100, PT-1010, PT-1090, PT-1230PC, PT-1280, PT-1290, PT-1830, PT-1880, PT-2100, PT-2110, PT-2030, PT-2030AD, PT-2030VP, PT-D400, PT-D400AD, PT-D400VP, PT-D450, PT-H300, PT-H300LI, PT-2430PC, PT-2700 and PT-2710. 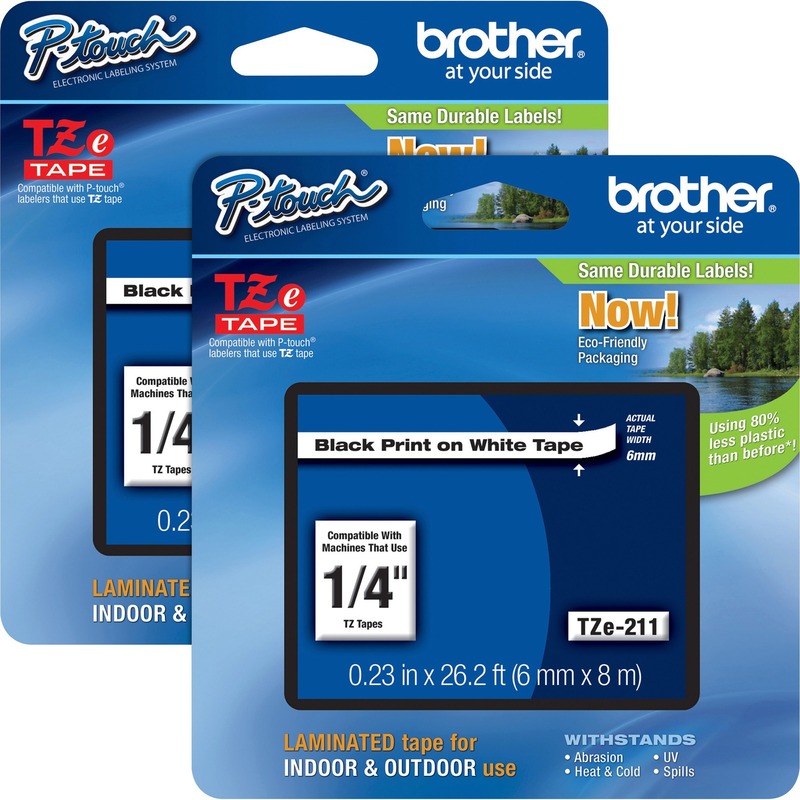 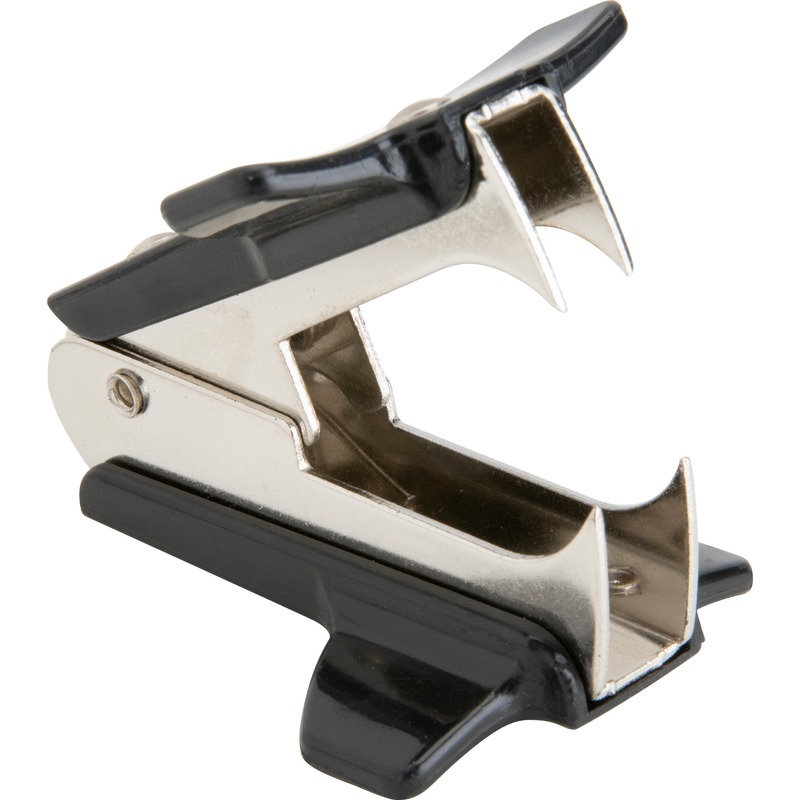 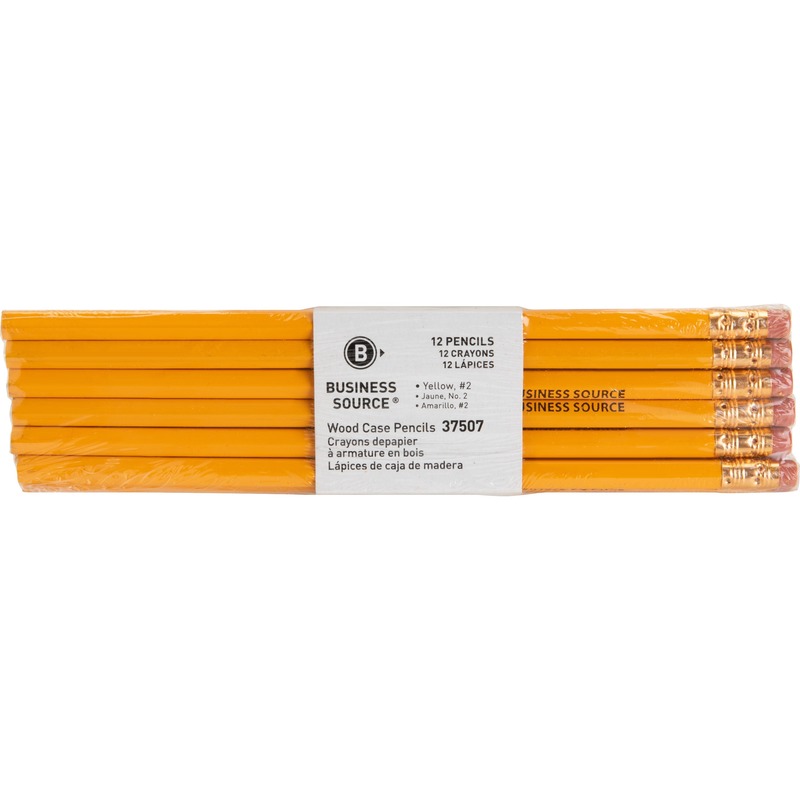 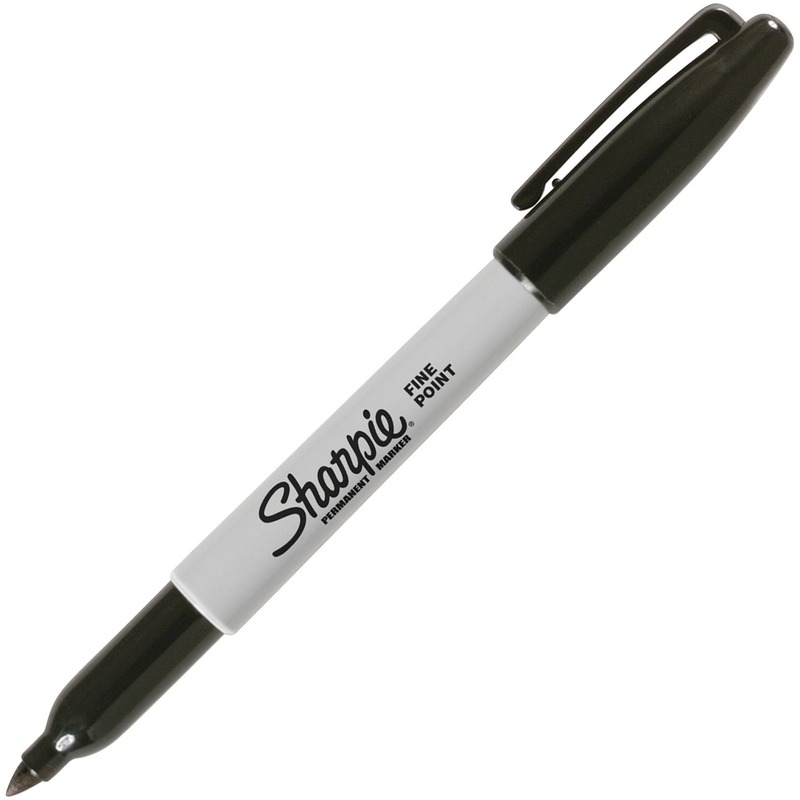 The durable, 12mm labels also withstand abrasions, UV and spills and feature standard adhesive.